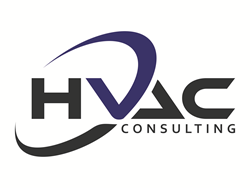 HVAC Consulting announced today it will begin offering its services in the state of Ohio. This addition will bring the company’s service footprint to a total of 14 states. HVAC Consulting’s decision to move into Ohio was established after meeting with several clients that expressed an urgency for service in this area. HVAC Consulting provides evaluations of HVAC systems for insurance companies, third party administrators and independent adjusting firms. The company performs onsite diagnostics of equipment to determine cause of loss, repair or replacement recommendations and recommended settlement evaluations.